Jan 18th - 'The Casebook of Eddie Brewer' screening at the Horror-on-Sea Film Festival - Southend-on-Sea. - UK went swimmingly! For many festival goers this was their first chance to see the film in all its glory. It was cited by many festival-goers as one of the highlights of their weekend. 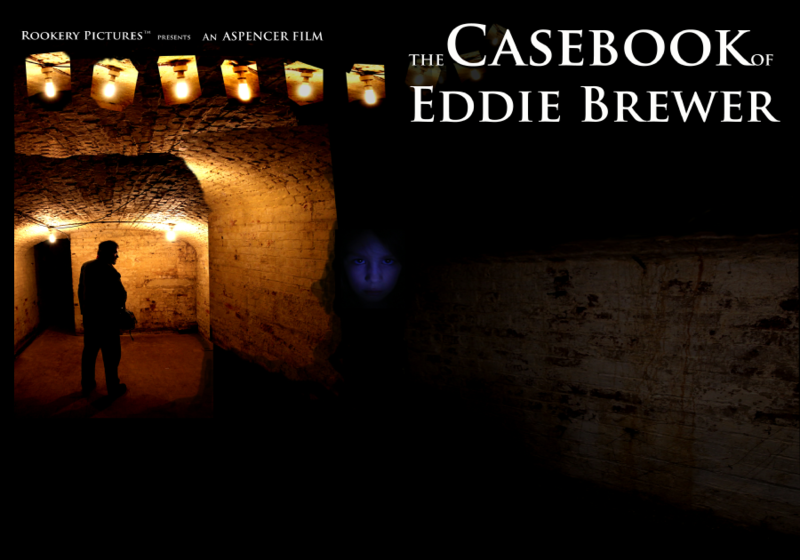 Jan 2014 - Great news to start the New Year … ‘The Casebook of Eddie Brewer’ is NOW AVAILABLE to buy from AMAZON.CO.UK. Both DVD and Bluray formats are available. Nov 16th - We can confirm that we will once again be the guests of Fantom Films for Memorabilia 2013 at the NEC on 23rd & 24th Nov. There will be an opportunity to meet the cast & crew of ‘The Casebook of Eddie Brewer’ and get your copy of the DVD and Blu-ray signed. Nov 14th - A great 8 stars out of 10 review for ‘The Casebook of Eddie Brewer’ from Jon Towlson in the latest issue of Starburst Magazine! Click here to read the on-line version of the review. Nov 7th - Ian Brooker (Eddie Brewer) interviewed by Jim McLeod of The Ginger Nuts of Horror. Here Ian talks about his career and the making of ‘The Casebook of Eddie Brewer’. Nov 4th - This current edition of Starburst Magazine has a full page advert for the film, directly opposite the first page of a rather magnificent '50 Years of Dr Who' special article. Double celebration! Nov 1st - At 3pm on Saturday January 18th 'The Casebook of Eddie Brewer' hits the seaside with it’s 17th Film Festival Selection. TCOEB actor Pablo Raybould also appears in another Horror flick 'Evil Bread' on the same day! Horror-on-Sea Film Festival - Southend-on-Sea. - UK. Oct 26th - Jim McLeod’s marvelous review from his blog Ginger Nuts of Horror. “A fantastic example of supernatural cinema”. For full review click here . Oct 17th - It is with great pleasure we can announce the UK RELEASE of ‘The Casebook of Eddie Brewer’. It is NOW AVAILABLE to buy directly from this website. Simply click on the BUY page. It is available on DVD and Blu-ray formats. Order by Oct 28th to be sure to receive it for Halloween. Oct 1st - Great news!! ‘The Casebook of Eddie Brewer’ makes No 10 in the TOP TEN of the Latest Scariest Movies List from Horrornews.net. And in very good company too!